Days Gone could be a post-apocalyptic survival-horror game to remember when it’s finally released sometime this year. Chances are, you’ve already watched the trailers and gameplay footage, and can’t wait to get your hands on it. 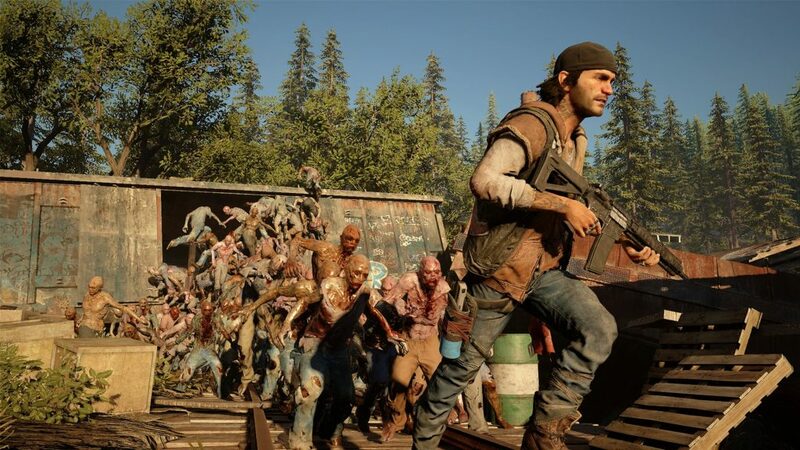 As gaming hardware continues to advance, it has more and more potential to deliver truly intense, terrifying, immersive horror unlike any we’ve experienced before – and Days Gone shows just how far things have come. The footage released so far has shown that this PS4-exclusive is unlike many zombie games we’ve seen before: it has a sprawling open world, a day-night cycle, a dynamic weather system – and what appear to be some nail-biting encounters with the ferocious Freakers. These zombie-like enemies aren’t like the flesh-eaters you’ve blown away over the years either: developers Bend Studio has described them as mindless and feral, but still alive and continuing to evolve. 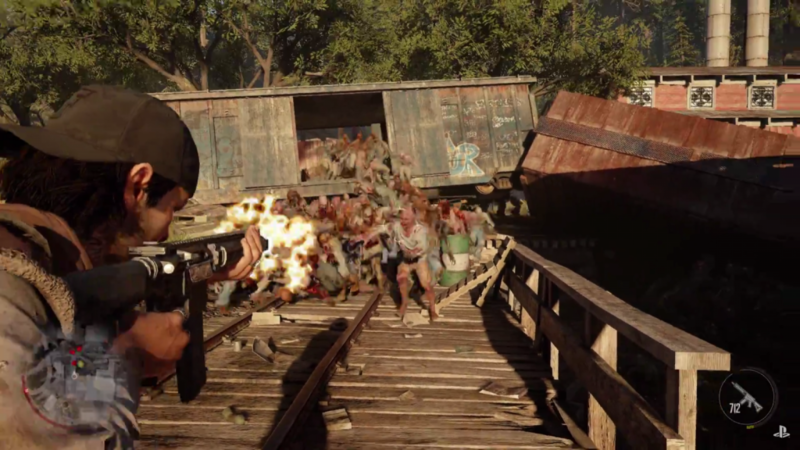 Their behaviour is one of the most impressive aspects of the footage revealed of Days Gone, with Hordes swarming in groups of hundreds, all coming at you at the same time. The way in which they sprint and clamber over each other, ferociously intent on reaching their target (i.e. YOU! ), no matter what’s in their way, is staggering. We see the hero, Deacon St. John – a grizzled bounty hunter used to a life of drifting – using his surroundings to stave off the Horde’s attack, but they still keep on coming. As many as 300 are able to appear on-screen together at the same time. Previous zombie games have been challenging enough at times when you have just two or three flesh-eaters coming at you in a confined space. Just imagine how intense and gut-wrenching Days Gone will be, pitting you against hundreds of rabid enemies with no way out and limited ammo. The Hordes seem to be just one amazing aspect of a remarkably organic world, acting independently (even as a group) and genuinely reacting to your actions. Let’s hope that the Freakers are as awesome as they should be. Days Gone could be one of the most impressive examples of an organic open world ever made, provided it ends up being all it appears to so far. Gameplay footage has shown how the in-game weather and elements can impact the way enemies behave. Freakers are stronger and come out in greater numbers when snow falls, for example, making wintry conditions tougher for Deacon (and you) than warmer ones. Wet or snowy weather will make driving a little different too, while Freakers are said to be stronger by night than by day. Deacon can approach situations in numerous ways. If he comes across a camp inhabited by human enemies, he can choose to sneak in around the back, avoiding traps and performing stealth kills on sentries. He can confront them head-on, of course, but that’s a lot tougher. Deacon can even use Freakers against human enemies, leading Hordes towards them and utilising their ferociousness to his advantage. Human enemies (marauders) will employ sneaky tactics to harm Deacon and other potential targets, even extending ropes across open roads. 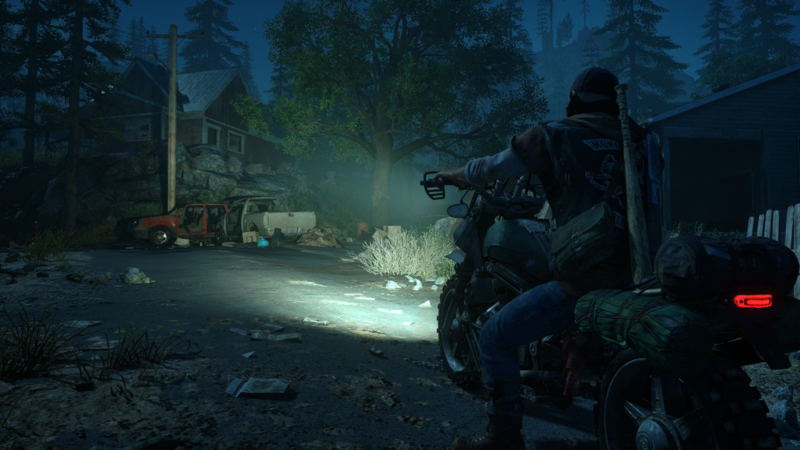 As a biker, Deacon will spend a lot of time driving and exploring, and even environments which appear desolate may pose unseen dangers. Unscripted events happening throughout the course of the game will flesh its world out and make it more realistic, as they do in other titles. The presence of wildlife in many different forms will do the same, and give you something else to run from. There will be plenty of story packed into Days Gone too, with hours of cinematics rumoured to appear. Hopefully, these will be broken up over a huge campaign, rather than in large chunks, but provided the story’s strong enough it doesn’t really matter. Deacon is played by Sam Witwer, a seasoned performer probably best known to gamers for his role as Starkiller in The Force Unleashed games, though he’s also appeared in plenty outside games too. Hopefully, his work will help to make Deacon a relatable character, alongside the strong writing that appears to be in place. We still have some time before Days Gone sees release, and with no fixed date in place, it could be a long wait indeed. Given the anticipation that has built up for the game, and the sheer potential it has, we can only hope that Bend Studio will make this all that it can be. 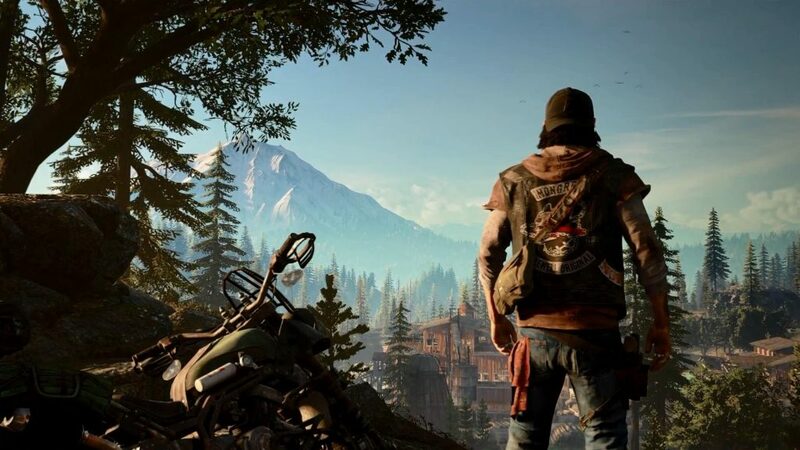 What about the upcoming Days Gone has you most excited, and why? Let us know!